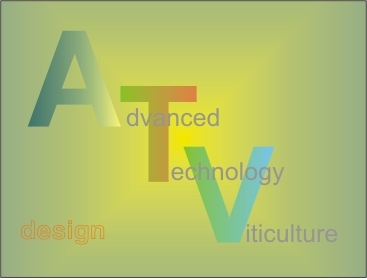 ATVs Yield Editor software is a tool to enable the user to analyse a variety of different yield data formats. 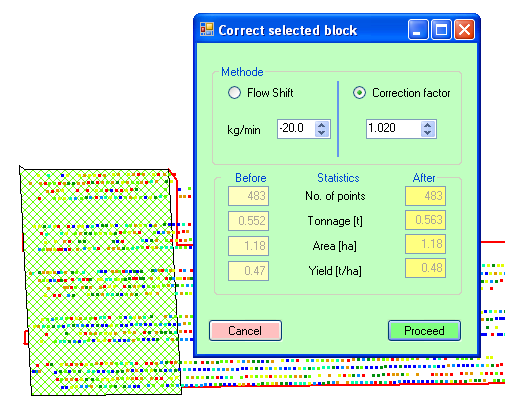 It contains different filters and editing techniques to clean out the raw data according to the CSIRO protocol of R. Bramley and S. Williams for creating proper yield maps (see: http://www.clw.csiro.au/staff/BramleyR/documents/CRCV Yield_Mapping_Protocol.pdf ). 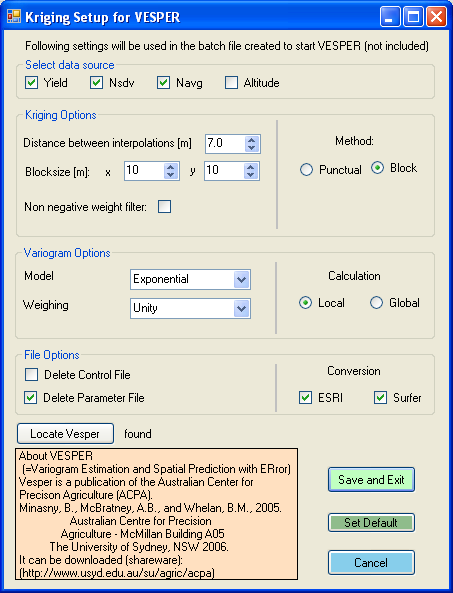 ATVyieldeditor has got a simple interface with Vesper (Australian centre for PrecisionAgriculture)for creating quick reliable and professional yield maps. 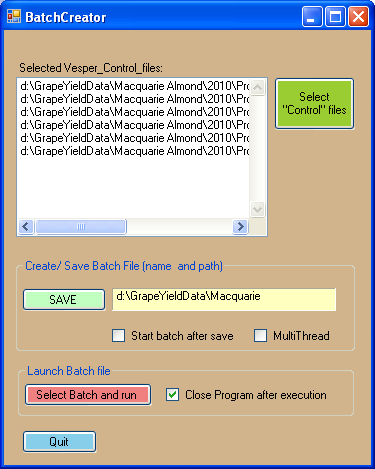 This data merging software can be used in conjunction with any ATV yield/ spray monitor to create ATV-AL2000 imperial or metric yield data output files. 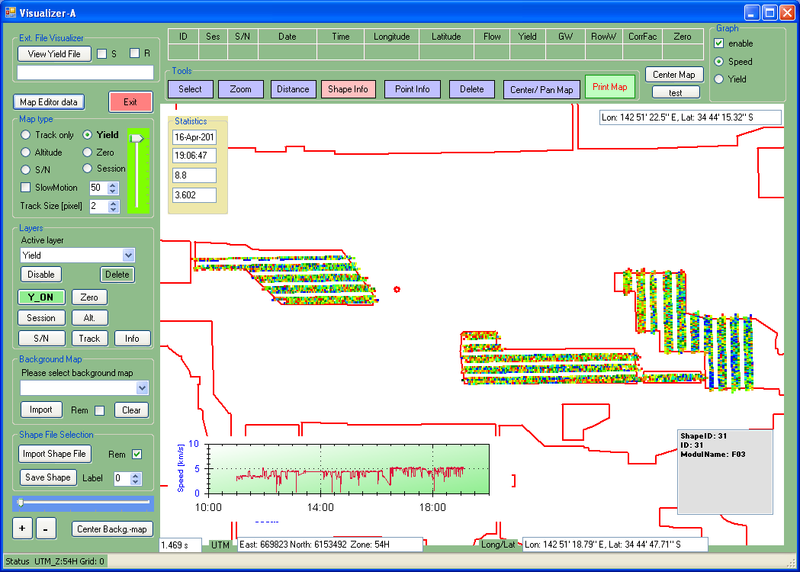 Shows an overview of all sessions included on a SD memory card. Sessions can be selected for further processing. 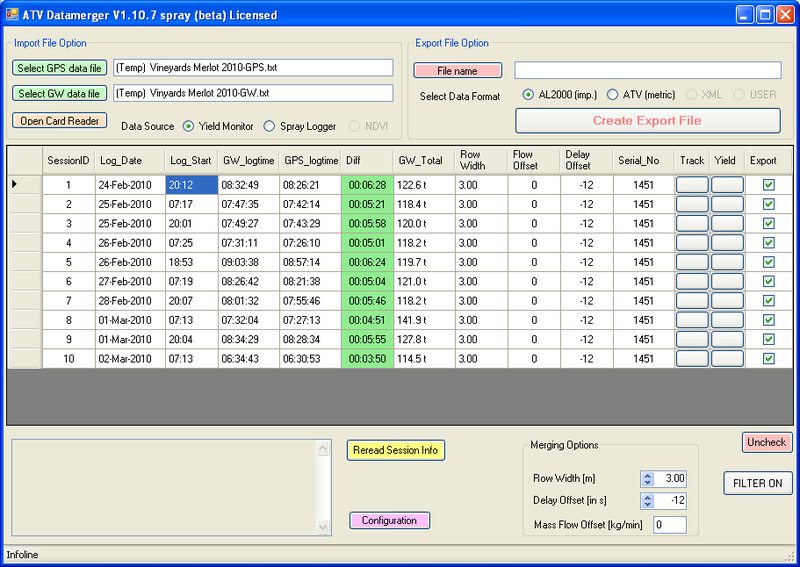 An included card reader tool creates a data back-up, and/ or prepares data files to be sent to any service provider for further yield data processing. 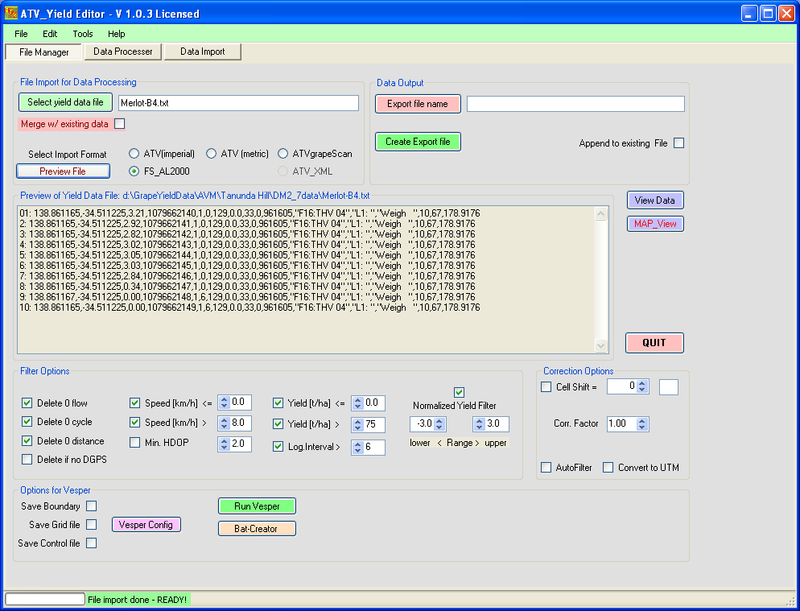 Simple filter functions for data cleaning/ trimming are selectible. 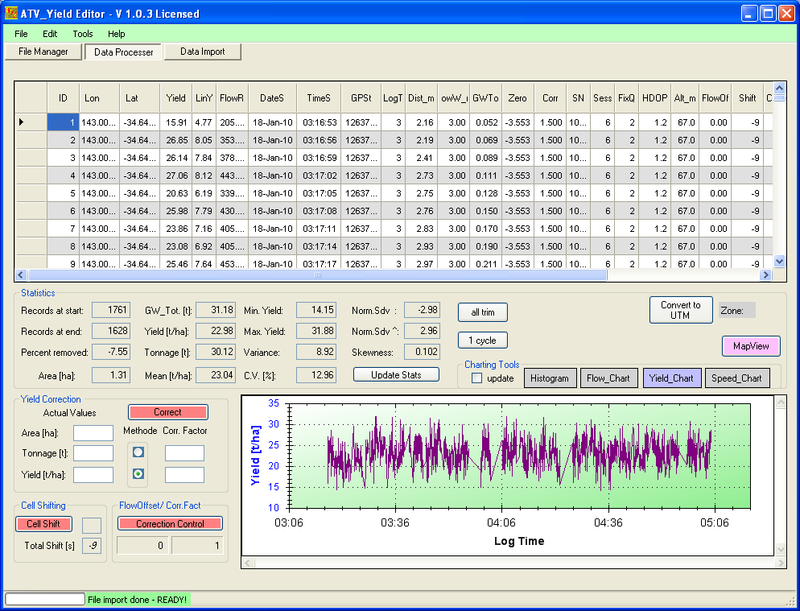 Coordinate outputs can be in longitude/ latitude or UTM. 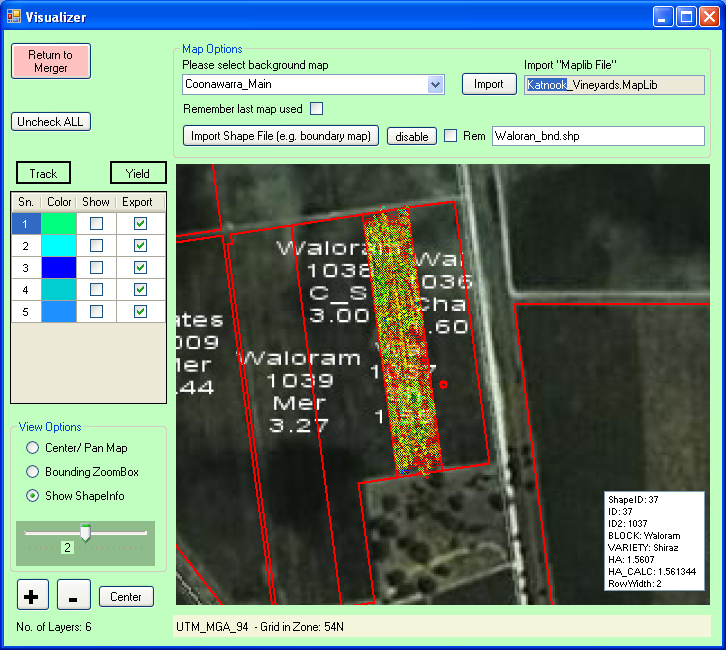 Option: track/ yield data view with background maps (e.g. 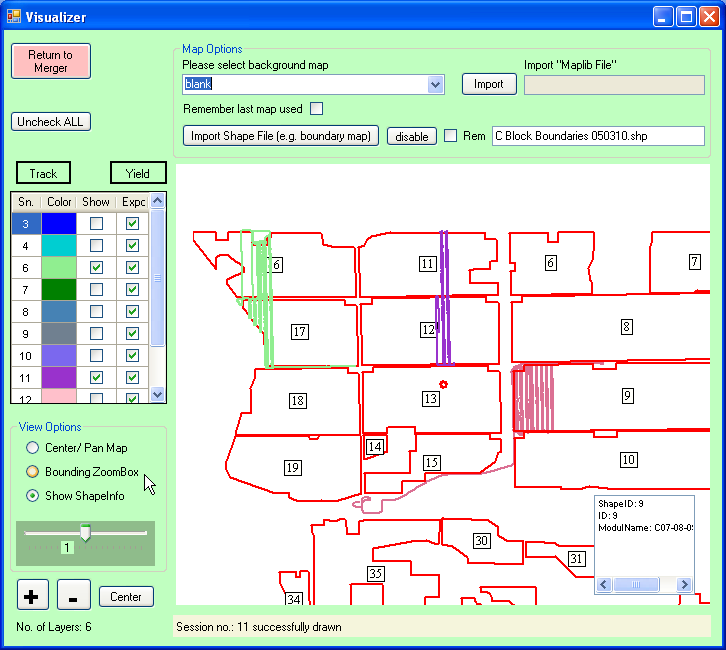 Google Earth, NeedMap) and shape files (e.g. 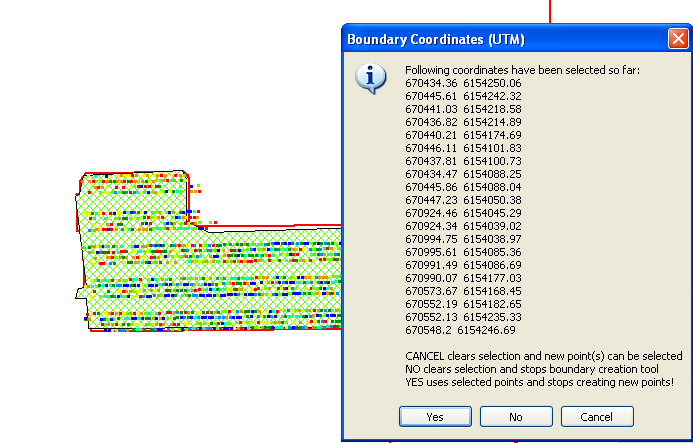 boundary maps). Important yield data is lost! 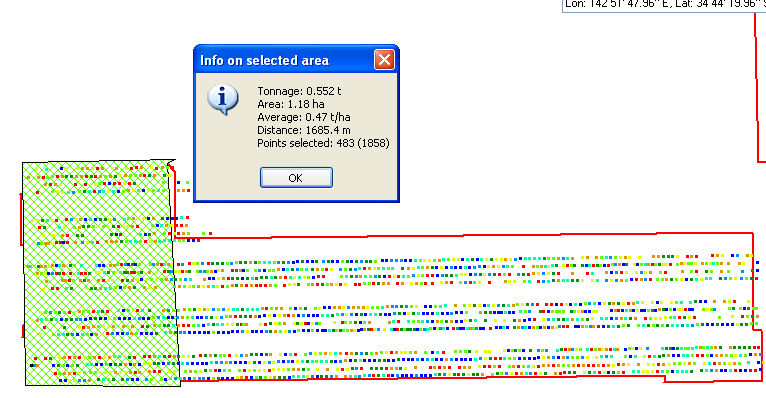 Depending on harvesters this can influence the quantity of crop harvested (e.g. 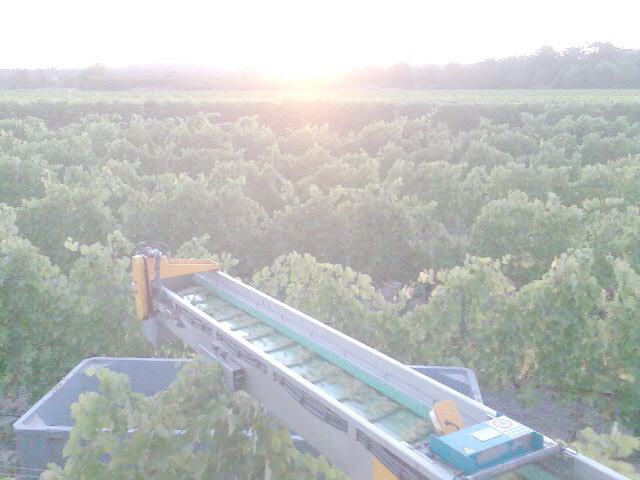 almond pickers)!